As a in-house marketer, you’re both an artist and a scientist. The artist in you will be called upon to create compelling ad copy and clickbait headlines that reel in leads. The scientist in you will be called upon to analyze data. In this article, I’ll be talking to your scientist side. For now, we can tell your artist side to go have an iced coffee blend at the local Starbucks. To properly practice the science of marketing, you’ll need to crunch some numbers. You’ll have to look at graphs, analyze percentages, determine before-and-after differences, and even be a bit of a statistician. 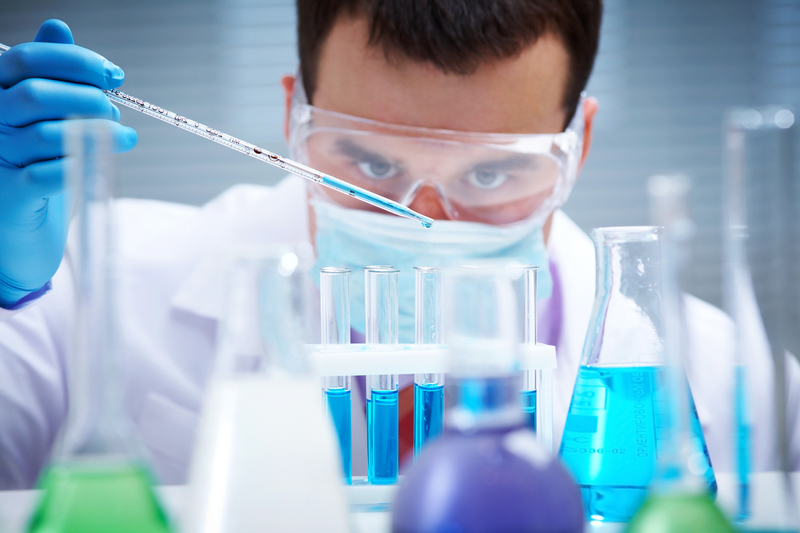 Before you can do any quantitative analysis you’ll need to know which quantities to analyze. For the most part, that will depend on the nature of your business and your target market. However, there are some metrics that are more equal than others. The most important statistics every online marketer should know for inbound campaigns . The number of website sessions is a metric that tells you the number of times somebody engaged with the site. Fortunately, it’s also an easy stat to track, thanks to Google Analytics. Just log in to GA and click on the website you’re monitoring. On the left-hand sidebar, select “Audience” and then select “Overview.” Just below the line graph that appears, you’ll see a “Sessions” box. That’s the total number of visits to your website. Use that number and the graph above it to spot trends. Hopefully, traffic to your site is increasing. This number is about as basic as they come. It’s one of the most well-known of all data points. And it’s also one of the most important. When it comes to conversion optimization, total number of sessions is part of the formula used to calculate conversion rate. Users is the number of people who visited your website. Wait. Didn’t we just go over that in Point No. 1? In Point No. 1, we discussed the number of visits to your site, not the number of people who visited it. There is a difference. If somebody visits your site more than once, that counts as multiple visits, but it’s still only one person who visited. And that’s why this stat is so important: it tells you how many people keep coming back to your site. It gives you a sense of the size of your loyal customer base. The stat is found right next to the “Sessions” stat in GA. Missing the distinction between users and sessions could lead to some confusion, so let’s make sure we understand this. Hits on a websites can happen all the time. They’re so inconsequential that GA doesn’t front-load this data to you. "A session is simply a collection of hits, from the same user, grouped together. By default, most analytics tools, including Google Analytics, will group hits together based on activity. When the analytics tool detects that the user is no longer active it will terminate the session and start a new one when the user becomes active." Users are the most animate and viable aspect of this hierarchy of data. "A user is the tool’s best guess of an anonymous person. Users are identified using an anonymous number or a string of characters. The analytics tool normally creates the identifier the first time a user is detected. Then that identifier persists until it expires or is deleted." So, a user is basically a person. And that person is the target of your conversion optimization black arts. The next most important metric to look at is “pageviews,” as Google puts it. The pageviews stat tells you how many pages people visited as they engaged with your site. Neither of the other two stats give you that information. This metric offers insight as to whether your site is “sticky.” That is, it lets you know if the people who visit your site like to hang around and view more than one page. You can view the “Pageviews” stat right next to the “Users” stat in GA.
Keep in mind that pageviews is one of those “vanity metrics.” You need to know it, but it’s not like you can forecast revenue off of it. A single visitor can generate many pageviews, which can lead to a very high number indeed. While you’re happy about all those pageviews, keep in mind that there are only a few users behind them. A few people making a lot of noise does not always translate into a lot of sales and revenue.  What percentage of people view one page on your site and then bail? 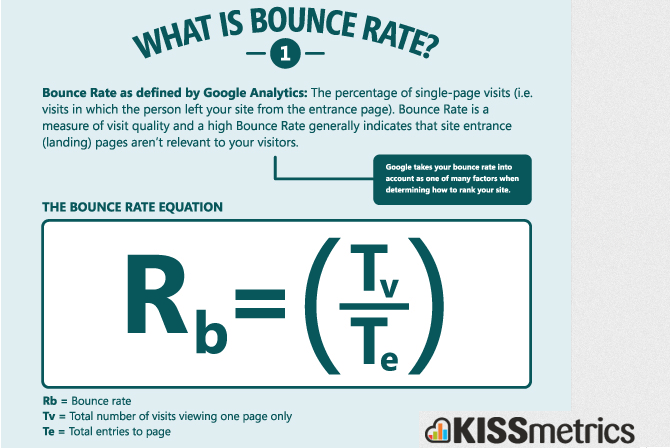 The “Bounce Rate” metric answers that question. A high bounce rate is bad. It means your website isn’t appealing enough that people want to hang around and browse more than just a single page. You can find the bounce rate on the same GA page as the previously mentioned stats. Are you aggressively trying to court new customers? Then you’ll want to pay attention to the “New Sessions” stat. That number, expressed as a percentage, tells you how many of your visitors are new to the site. Use this metric to help determine whether your recent marketing campaign is reeling in some new business. You can find the percentage of new sessions in GA on the same page as the previously mentioned stats. How much of your traffic is coming from social media? How much from organic search? The answers to those questions come from the “Acquisition” section on GA. You’ll see that header in the left-hand sidebar just below the “Audience” section. Direct – People who reached your site via a bookmark or by directly typing the URL into the browser bar. Social – People who reached your site from a link on social media. Referral – People who reached your site because of a link from another site. Organic – People who reached your site because they found a link in search engine results. Email - People who reached your site from a link in an email. Paid Search - People who reached your site by clicking on an ad running in search engine results pages. Other - Please specify. Really: anything else. Those metrics are important because they tell you how well your channel-specific marketing campaigns are performing. “Conversion rate” is where it’s at. If you’re a DOM, this is your jam. The conversion rate, as explained above, is a percentage that’s calculated by dividing the number of conversions by the total number of sessions. What’s a conversion? Typically, it’s when a visitor responds to your marketing efforts by following a call to action. A conversion could be a purchase of a product on an ecommerce site, a sign-up for an email list, or filling out a lead form. The higher your conversion rate, the better you are at marketing to people who’ve arrived on your site. You can view conversion rates in GA by first setting up goals. Then, click on “Conversions” at the bottom of the left-hand sidebar and select “Goals” and “Overview” from the drop-down menus that appear. Another metric that’s becoming increasingly important is the average page load time. Why is that important? For starters, people are going to bounce from your site if it takes too long to load. Second, Google uses page speed as a ranking factor. If you want to make sure that your site ends up at a top position in the SERPs, you’ll have to ensure that it loads lightning fast. Big tip: It matters for conversion optimization. You can view the average page load time in GA by clicking on “Behavior” in the left-hand sidebar and selecting “Site Speed” and “Overview’ from the drop-down menus that appear. If you’re running a blog that displays AdSense ads, you’d like to know how much money you’re earning from those ads, right? Fortunately, there’s an easy way to view that information in GA.
Well, first you have to link your AdSense and GA accounts. Then, just click on “Behavior” on the left-hand sidebar in GA and select “Publisher,” then “Overview” from the drop-down menus that appear. The line graph that appears will show you the total number of impressions of your AdSense ads. Below that, you’ll see a table that shows you how much each page is earning in revenue. That’s just the reality of the Information Age today. That’s also why you should pay attention to the number of people who visit your site on a mobile device. If you find that the bounce rate is unusually high for mobile users, it’s probably because your site isn’t mobile friendly. To view your mobile traffic, click on “Audience” in the left-hand sidebar of GA. Then, select “Mobile” and “Overview” from the drop-down menus that appear. In the table below the graph, you’ll not only see a breakdown of your mobile traffic, you’ll also see the bounce rate. Fortunately, GA can help you with that as well. Click on the “Audience” header in the left-hand sidebar of GA and select “Demographics” and “Overview” from the drop-down menus that appear. You’ll see a graph that gives you an age and gender breakdown of people visiting your site. Click on “Interests” below “Demographics” and once again select “Overview.” Now, you’ll see a breakdown of people who visit your site based on their interests. Below “Interests,” you can select “Geo” and “Location” to see a breakdown of where your visitors live. You can even drill down from country to city. What does it cost to acquire one customer? If you don’t know the answer to that question, then you can’t answer one of the most important questions in marketing. Fortunately, your metrics can help you with that. If you’ve set up GA for goal tracking, then you not only have the conversion rate, but you also have the number of conversions. Those conversions are your customers. Now, riddle yourself this: how much did you spend on marketing to acquire those customers during that time period? Once you’ve answered that question, the equation is simple: divide the total marketing spend by the number of conversions. That number is the cost to acquire one customer. From there, it’s a simple numbers game. Is the customer bringing in more revenue than the cost per acquisition? How much more? Is the margin healthy enough given all the other business expenses? Once you can answer those questions, you’ll be in good shape to determine whether your business is on a path to profitability. These are just a few of the metrics that you should be watching. There may also be additional statistics specific to your business model that you’ll want to follow. Just make sure that you don’t ignore the scientific side of marketing while you’re creating those clickbait headlines. Data is important. In fact, it’s not an overstatement to say that the entire enterprise of conversion optimization is a waste of time without data. No one’s asking you to be a boring bean counter. You may not be the kind of person who solves Sudoku puzzles for fun. But data is at the core of your job. You have to know it, do it, crunch it, see it, taste it. Even if you don’t love it. So go out there and rustle up some data. Your conversion rates will thank you.